For those invited to review this site...please note that this page is under a major formating revision. However, the information is still intact. If you made it past the previous paragraph without incident and you have the blessing of your family the next question will be - where do I start? A logical plan would be to read as many books and internet forum threads on falconry as you can, but beware! 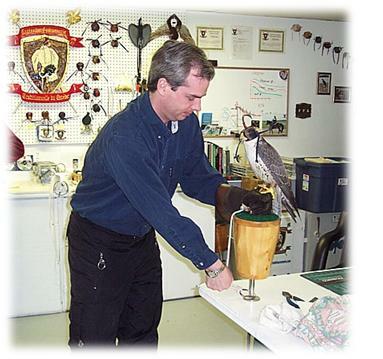 There can never be any substitute for good hands-on experience with an experienced falconer and even a large collection of memorized books will fall short of preparing you for the challenges involved. Reading about birds of prey and their training and care in the comfort of your favourite reading chair will not prepare you for the harsh realities of trudging through woods and fields in the rain, cold and snow. While adequate study and mentorship will provide the necessary knowledge and skill to be successful with falconry, the NLFA is currently developing a formal test for any members wishing to test their apprenticeship skills. In the meantime, many self tests can be found on the internet. Please feel free to try any you find via google egs: Test Site One, Test site Two, Test Site Three. We do not wish to completely discourage you from becoming a falconer by inundating you with a list of initial tasks, but at the same time we are trying to portray an accurate picture of the time, energy, and money involved in educating someone to a level whereby most falconers would say that they are ready to maintain and train a raptor for the first time. Generally this takes hundreds of hours over several months....and then once an individual obtains a raptor - the training continues for the rest of ones life. "Do or do not....there is no try." "Falconry you do yes....or falconry you do no....falconry you do "maybe"....and squish - like the grape". Falconers have fought long and hard to maintain the right to pursue this ancient heritage and strive to maintain it in its highest forms. Newcomers or would be apprentices have to convince a falconer that this is more than a passing fancy before expecting any form of support or help. Even after showing the dedication of going part way down the training path on one's own, and getting some hands-on training and experience with falconry, falconers are slow to take on apprentices. Like some other pursuits such as flying planes, hang gliding, or performing surgery, despite a burning desire; unfortunately not all people can be falconers. For those that find themselves heavily enamoured with falconry but are unsure if they could be successful with this sport, we suggest you do some more reading and research. 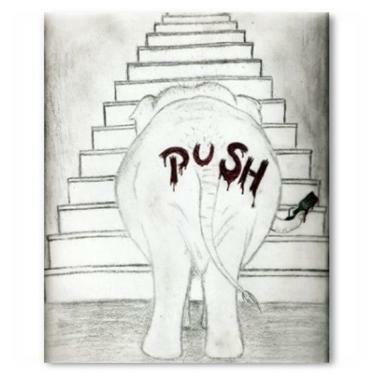 Often people find themselves in this stage for months, years, and in some cases decades. Most regions globally require a minimum of a 30 hour intensive hands-on training course. Currently, the nearest formal, professional, courses are offered in Quebec and Ontario. Our association has full access to many of these educators and we could have the courses delivered right here in Newfoundland and Labrador. Typically, course fees range from $250 to $600 per person plus any travel, accommodations, and meals involved. Not all regions require a formal and legal 1 or 2 year mentorship plan guided and implemented by an experienced falconer. However, to attempt falconry as an isolated individual without any expert advice and using only books is a long, harsh, and un-necessary path. A falconer must have sufficient time and patience to devote to training and flying a bird. A trained raptor requires an absolute minimum of one hour per day, 365 days a year. Training a young bird and flying it requires substantially more time. Balancing falconry, family, business and/or a job requires detailed planning and a sacrifice of time and energy that most people, and the people in their lives, simply can not sensibly give. 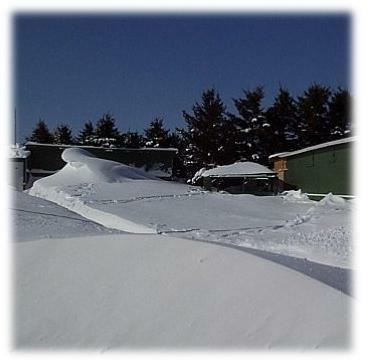 Deep freeze and suitable food supply (meat should not be stored more than three months due to nutrient deterioration). $200+ for a freezer plus up to $4 a day for food. Suitable hunting gear and a suitable vehicle(s)? Money reserved for an emergency vet bill? Saskatchewan and Nova Scotia both have active associations but do not currently maintain a website - contact us for details. A falconer must be able to provide suitable facilities for keeping a bird in fair weather and foul. Captive raptors must be protected at all times from cats, dogs, and other predators such as mink, including humans; as well as extremes of heat and cold, wind, fungus, disease, parasites, and dampness. Expert advice should be sought before attempting to build a Mews (i.e. a hawk house), and a Weather Area (a properly fenced and screened area using adequate welded mesh and netting to prevent biting insects). Ideally, a would be falconer should have a proper and highly available falconry mentor or at the very least availability to a person or people that have considerable experience in the husbandry and training of the specific species of raptor you are hoping to have. To attempt falconry without this is a long, foolish, unnecessary, and harsh path. One of the reasons falconry is so successful and practiced to such a high level in North America is because would be falconers have done an extreme amount of preparation and have access to expert help and advice at all times. 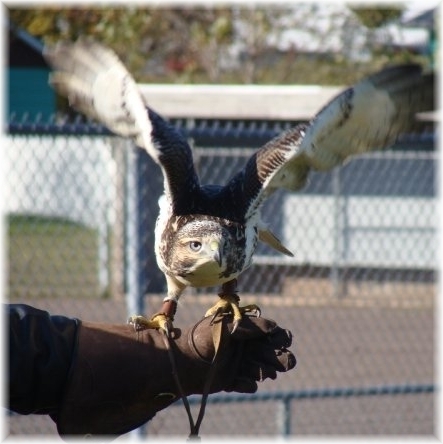 In addition to keeping adequate daily logs and continually learning all you can about maintaining and monitoring raptor health with regard to diseases, parasites, and symptoms - you will need advanced veterinary services close at hand. 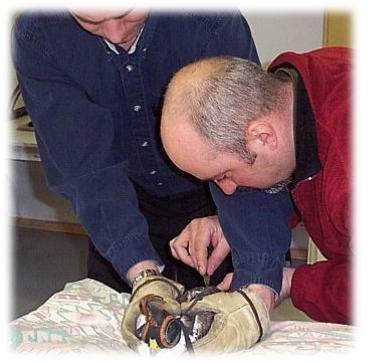 Not every vet is skilled in detailed raptor care, diagnosis, and treatments. Nor does every vet wish to deal with a large raptor. Contacts, plans, and arrangements should be made well in advance and adequate funds or financial arrangements sorted out long before any incident. A falconer must have adequate and reasonably convenient areas for both training and flying a raptor. The raptors falconers fly are chosen based on the habitat and prey available. While we are blessed with virtually limitless public land, there are many consideration that must be taken into account when examining potential flying ground. Are there fences that a raptor can fly into and get hurt on? Are there transformers or exposed power lines? Are there other hunters nearby with guns? Is there possibly quarry with lead shot in them that can be lethal if ingested by a raptor? Are there non-falconry raptors in the area? Like most things in falconry, even choosing a hunting or flying area is not as simple as it at first may appear. While not the only reason raptors are trained and flown, traditional falconry is the human hunting of wild quarry with the aide of a trained raptor. Hunting is the difference between being a traditional falconer and being a "pet-keeper" whereby the raptor is not flown on prey retained by the falconer. Raptors do not make good pets! 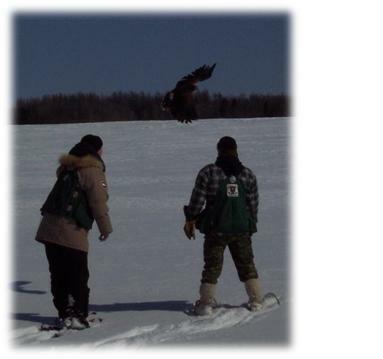 Traditional falconry requires the hunting of game with the aide of a raptor as defined in the Migratory Bird Act of Canada. The raptor is used as a tool by a human (like a gun) to obtain and possess the prey hunted by a raptor. The falconer is no longer an observer in this pursuit, but an active participant and is securing game from the raptor. Currently, hunting with the aide of a raptor is regulated and allowed under federal law, but our province is 1 of 2 provinces that has not yet updated its legislation concerning hunting game species with the aide of a raptor (sadly, until recently there were no falconers residing in our province). This lack of regulation is simply a result of a lack of priority and resources by legislators. 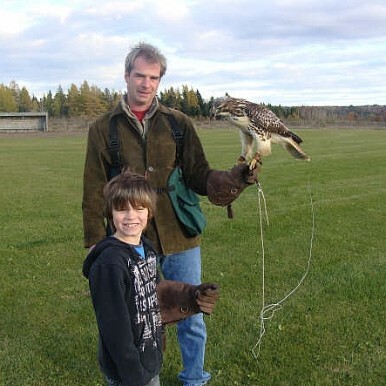 NLFA is dedicated to introducing adequate rights and freedoms to our legislation so it reflects those enjoyed in every province in Canada with falconers (now 9 of the 10 provinces). As in the development of any pursuit, where one ends up, is often a reflection of where one starts from. The aim and mandate of the NLFA is to foster the ethical development of falconry such that it is practiced in the highest of standards in our province. Ideally, and to shorten the road to successful falconry, a would be game hunting falconer should have a vast knowledge of the ecology, habitat, and behaviour of the main prey that the raptor will be pursuing on behalf of the falconer that is hunting game animals with the aide of a raptor. 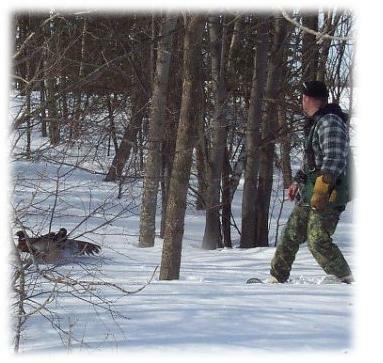 At the minimum, in 8 of the 10 provinces in Canada, you will need to pass your hunter safety course and obtain your migratory game bird and/or small game license. Falconry is not recommended to people under the age of 14. It is illegal in all regions of North America for even supervised individual to practice under this age. In Newfoundland and Labrador, hunting is limited to individuals of 16 years of age or more. The NLFA does not recommend free flying raptors outside of the small game hunting seasons unless every reasonable effort has been made to prevent any animal from being preyed upon. Members must also not hunt with the aide of a raptor until our legislation has been updated to reflect the rest of North America. This is currently a requirement for membership and a part of our By-Laws and Ethics policy. Obvious exceptions are when granted permission to fly a raptor at such times for FBBA or training raptors unwedded to prey or inexperienced in capturing any prey in fair chase (eg juvenile raptors with limited flying experience). For further information on falconry in Newfoundland and Labrador please refer to the Newfoundland and Labrador Wildlife Division. Like discharging a firearm, common sense must prevail when flying raptors.